Most video tapes were damaged in 2047 during the second coming of Jesus. AHH ITS SANTA!!! GET HIM JESUS! Just another religion made up by man. Jesus does not have claws. 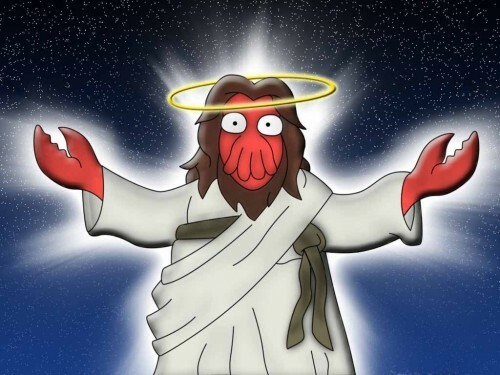 Zoidberg Jesus does. Zoidberg wins. The correct term for an arthropod’s ‘claw’ is a chela (plural chelae). Legs bearing a chela are called chelipeds. Chelae are also called pincers.